This file is the extent of the Tararua District. Road layer and data as maintained by Tararua District Council. Roads have been matched to aerial imagery. Tararua Water Pipe layer derived from the Assetic Infrastructure System and Council held geospatial data. Tararua Wastewater Pipe layer derived from the Assetic Infrastructure System and Council held geospatial data. Tararua Stormwater Open Drain layer derived from the Assetic Infrastructure System and Council held geospatial data. Tararua Stormwater Pits (manholes) layer derived from the Assetic Infrastructure System and Council held geospatial data. Tararua Parcel Layer (Parcel Boundaries) as maintained by Tararua District Council derived from LiNZ Parcel layer and internal Council corporate systems. 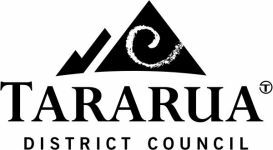 Tararua Assessment Layer (Property Boundaries) as maintained by Tararua District Council derived from Tararua Parcel layer and internal Council corporate systems. Tararua Stormwater Pipe layer derived from the Assetic Infrastructure System and Council held geospatial data. Tararua Water Valves layer derived from the Assetic Infrastructure System and Council held geospatial data. Tararua Stormwater Culvert layer derived from the Assetic Infrastructure System and Council held geospatial data. Tararua District railway lines layer as maintained by the Tararua District Council. Rail lines have been matched to aerial imagery. Tararua District railway crossings layer as maintained by the Tararua District Council. Rail crossings have been matched to aerial imagery. Tararua Wastewater Sewer Valve layer derived from the Assetic Infrastructure System and Council held geospatial data. Tararua Water Hydrant layer derived from the Assetic Infrastructure System and Council held geospatial data. Tararua Wastewater Sewer Pump layer derived from the Assetic Infrastructure System and Council held geospatial data. Tararua Wastewater Pits (manholes) layer derived from the Assetic Infrastructure System and Council held geospatial data. Tararua Building Outline Layer as maintained by LiNZ / Tararua District Council derived from LiNZ Building Outline layer and internal Council corporate systems.